Rusal’s dollar bonds slumped to record lows and a prominent board member resigned on Tuesday in the latest aftershocks from the Russian aluminum giant’s inclusion last week on a new U.S. sanctions list, The Globe and Mail reported. On Tuesday Rusal’s dollar bonds maturing in 2023 fell 17.3 cents to a new record low, according to TradeWeb. Its yield had previously been steady at around 6 percent, but on Tuesday it spiked to 28.5 percent, a record high. While Russian markets, including the ruble, fell across the board on Monday, Rusal assets were hardest hit, with its Hong Kong-listed shares halving in value and the company warning it risked tipping into technical default. The measures against Rusal and its boss, metals magnate Oleg Deripaska, mark the first time a major international company has been targeted by Washington in its moves to punish Russia for alleged meddling in the 2016 U.S. election. Ivan Glasenberg, the billionaire boss of mining group Glencore, quit the board of Deripaska’s aluminum firm Rusal as business leaders with links to the Russian ran for the hills. 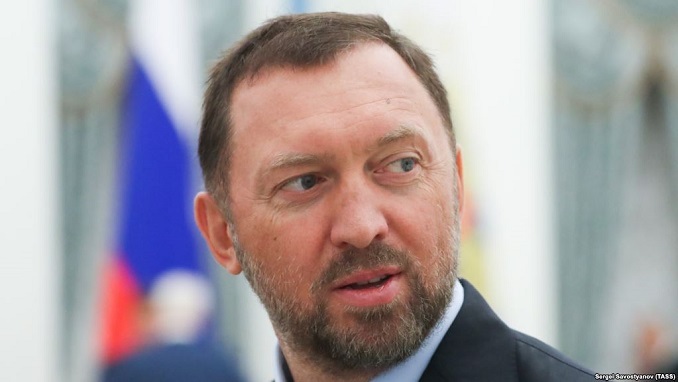 Deripaska’s companies have seen other resignations by non-Russian board members since the sanctions, with his newly-created holding company En+ Group saying board directors Dominique Fraisse and Zhao Guangming had quit on April 6 and 9 respectively. As a major Rusal shareholder, Glencore added it was carefully considering how to protect its business and said it was pulling back from earlier plans to swap its 8.75 percent of Rusal for Global Depository Receipts in En+. “Glencore is committed to complying with all applicable sanctions in its business and is taking all necessary measures in order to mitigate any risks to Glencore’s business as a result of the designation of Rusal and EN+ as SDNs (specially designated nationals), including in respect of secondary sanctions,” Glencore said in a statement. “Glencore will not proceed with the Transaction at this time in light of the designation of Rusal and EN+ as SDNs,” it said.